Posted on December 4, 2013 by Warin	in Film, Film Independent Forum, Quotes, work. Posted on November 5, 2013 by Warin	in 2013, Film, Film Independent Forum. In a beautiful speech last week at the 2013 Film Independent Forum, filmmaker Ava DuVernay spoke to making do with what you have and being your own catalyst when it comes to making films. Replacing desperation with passion and putting in the work is what moves your forward. Check it out below. 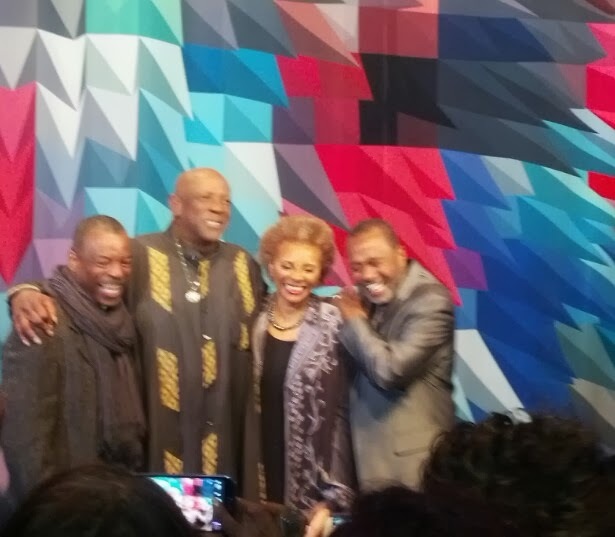 Posted on October 14, 2013 by Warin	in Ben Vereen, Changing The Picture, Film, Leslie Uggams, Levar Burton, Museum of the Moving Image, Roots, TV. With the film “12 Years A Slave” debuting this week, I figured it was a good time to revisit a panel discussion I shot earlier this year revolving around one of the most prominent depictions of slavery in media. The panel featured actors who played pivotal roles in the TV mini-series “Roots” that premiered in 1977 and was shown on BET last winter. “Roots” was really the first program to explore the challenges, horrors, and triumphs within the realm of American slavery. It was an eye opening experience for millions of people and really helped shed a light on America’s ‘original sin.’ Actors Lou Gosset Jr., Ben Vereen, Leslie Uggams and Levar Burton, spoke on the significance of “Roots,” their roles in it, and how “Roots” continues to educate more than 30 years later. 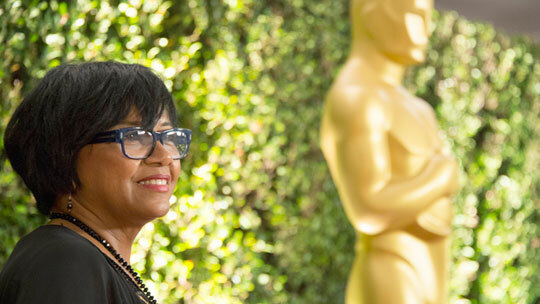 The panel was a part of a larger series called ‘Changing the Picture’ at the Museum of the Moving Image this past February, which highlighted the works of people of color in the film and television industry. Posted on August 20, 2013 by Warin	in 42, California, Film, Fruitvale Station, Michael B. Jordan, Oakland, Octavia Spencer, Oscar Grant, Ryan Coogler. After a month delay and several months of being intrigued by the premise of the film, I finally saw “Fruitvale Station” last week. It left me feeling a number of emotions upon exiting the theater. “Fruitvale Station” is the story of Oscar Grant and the 24 hours leading up to his death at the Fruitvale subway stop in Oakland, California, on New Year’s Day 2009. But it’s really so much more than that. It’s a story that truly does explore the human condition through Oscar’s eyes and makes the viewer see a troubled man who was trying to turn his life around. 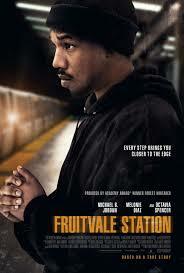 What makes “Fruitvale Station” different than most movies is that you have some idea going in how the story will end. Anyone who has heard about the film or done any research on the case, knows ultimately that Oscar Grant will be killed. Similar much in the same way as a movie like “Titanic,” where (spoiler alert) the ship sinks, with a film like “Fruitvale Station” character development becomes all the more crucial when the audience knows the final result. Michael B. Jordan gives an excellent performance as Oscar Grant. Through him, we see more of a 360 degree portrayal of Grant. By that I mean director Ryan Coogler is careful not to paint Grant as some figure headed for sainthood before death. Too often in dramas about people’s lives, we see heavy handed attempts to portray the protagonist in the most positive light possible with little to no faults. In essence the main character becomes reduced to little more than a cardboard cutout of virtue, instead of a fleshed out human being with emotional, physical, mental, or spiritual obstacles to conquer. This is exactly the criticism I leveled at the film “42”; I was glad to see “Fruitvale Station” didn’t follow that same script. Over the course of the film we see Oscar not take his prospects of getting a job seriously. We see a man at times quick to anger, but even quicker to flash his smile at someone. We see a person learning to accept the responsibility of fatherhood while trying to become a more supportive partner to his girlfriend. We also witness the interactions he has with his mother (great job by Octavia Spencer) and the initial guilt she feels immediately after his death. “Fruitvale Station” on its surface is a movie about a shooting, but really it’s a movie about the relationships between Oscar Grant and those around him. Through his friends and family we see him as a person bending in the direction of slowly, but steadily, improving his life. I would strongly recommend anyone who hasn’t yet seen it, to make an effort to watch it while it’s still in theaters. It may leave you teary eyed at points, but chances are, you’ll be better for the experience.